What allergies can be treated with allergy drops? CornerStone Ear Nose & Throat is currently using allergy drops (sublingual immunotherapy) for treating allergies related to tree pollen, grasses, weeds, mold, dust mites, and animal dander. How do I know if I need allergy drops? Is there an age restriction for using allergy drops? There are no age restrictions for allergy drops (sublingual immunotherapy), although it is rare to begin any type of allergy treatment prior to two years of age. First, there is a “build-up phase.” This involves once-a-day doses of drops that start at a lower concentration. Gradually, the number of drops and vaccine concentration increases over a period of several months. After this initial phase, patients transition to a once-a-day dose of three drops. The usual course of treatment is 3 to 5 years. Follow up visits at CornerStone Ear, Nose & Throat we be needed about every 6 to 12 months to assess the effectiveness of the drops. How are the drops administered? Patients take the drops themselves at home. 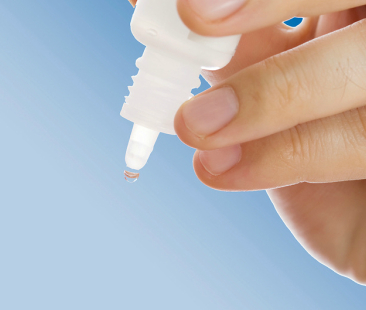 The allergen extract is provided in bottles that have a dropper. Drops should be taken in the morning. Patients should place drops under the tongue, hold there for two minutes, then swallow. We recommend no food or water for a period of five minutes after taking a dose. After that, there are no restrictions for eating or drinking. Also, there are no restrictions for eating or drinking before taking the drops. Every patient is different. Patients may experience improvements in their symptoms within six months of starting treatment, but maximum benefit is typically after one year of treatment. To learn more about our allergy services or schedule an appointment, please call (704) 752-7575.